What is a church to be? Is it a place for the faithful who gather on a given Sunday, who come to offer up their private prayers and praise and then go their separate ways? Or rather, is it to be a home, a collective community who together in Christ is much stronger than its individual members? Throughout our life we witness numerous understandings of what it is to be church. Deep down we know and desire more for our time together and yet we settle for less. As a young child some of my earliest memories are from my time spent in God’s house, among those that both had a clear grasp of what it was to be church and those that clearly had no idea. In a small town of approximately 5,000 people my grandmother’s church, though one of the largest, certainly wasn’t without competition in this strongly church going community. So then, what was it that drew the faithful young and old on Sunday, and kept them returning throughout the week? Well, quite simply it was the way they embodied Christ and tangibly conveyed the reality of family. Donning a handmade sundress and black patent shoes, I excitedly got ready to make the 30 minute drive to my see my grandma, attend church and enjoy lunch together afterwards. Walking in the doors, though not a member, I wasn’t considered a stranger but instead welcomed as family. Each man, woman, or child standing there wasn’t doing so out of obligation but considered it a privilege to get to know each person that came in for worship that day. Each time was an inclusive acceptance of my presence, without judgement or expectation. Contrast that with the church that I would more often attend in my own hometown at the tender age of 6. Significantly larger, it had become a numbers game with numerous cliques that would gather in different sections to discuss politics, events, and also one another. 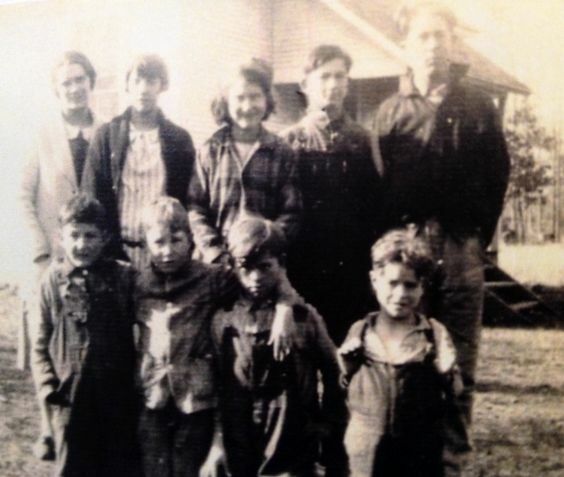 While my mother and I were members, we truly didn’t feel as if we ever were. Rather than welcoming us in, as a divorced single parent, my mom suffered the judgmental stares and awkward silences . So while we came hoping for community what we experienced instead was far from it. Our Sunday experience became a time for us to privately pray and praise though surrounded by a multitude. To varying degrees, you may have witnessed either of these examples. More often than not, we may attend church and glimpse snip-its of community wondering how to connect. Here, where the desired relationship is not immediately accessible we ourselves may have to reach out initially. Perhaps conscious of my own experience, I have made a point of introducing myself and my family when we attend Mass at a different church, even though I am just visiting. It isn’t though I expect to be treated differently, but I am modeling what community should be for everyone. This understanding of community even extends to our common interactions in the supermarket, gym, and local coffee shop. Keep in mind, your “Hello, how are you today?” might just lead to someone reconsidering returning to or feeling a part of church that Sunday. Just the other day, when picking up my morning brew, I was given such a gift of conversation with a parishioner whose face I thought I had seen but never met. Now I know his name is Alex… and it all started with “So good to see you again!”. As I look around my own parish, where could we be better representatives of the body of Christ? How am I extending a welcoming presence at church, and within my community? Can you recall a landmark moment in your life? A time when it became suddenly visible what truly mattered, and where God was in it all? The following is one of my very own- all but a blink of God’s eyes yet a graced moment when I will forever felt held. It was a late Spring morning in the South, ominous skies grey and overcast coupled with warm and humid conditions were the makings for the perfect storm. Locals knew the weather system well, and it wasn’t long before the tornado warnings ensued. I had never worried about these storms, not because there was nothing to worry about or because of my youth, but quite simply my mother worried enough for the both of us. Yet, that day would be different. As students were sitting at the long adjoining tables in the school cafeteria, the alarms resounded through the halls, school, and town. Beckoned to get down beneath the little protection that we had, warnings were issued to tuck in and resist looking out the windows. That is when I saw it, just outside the huge glass window that encompassed the side wall.. An unbelievable enormous swirling combination of wind, dirt, branches, and other objects it had accumulated in its wake hovering just above the ground. There it was right before my eyes, not more than 8 feet from me, and I could not help but be both in amazement and fear.Unable to close my eyes I prayed for protection, “Lord please protect us and keep us safe from harm. Lift this tornado and carry it up and far away”. After what seemed like an eternity, the greenish grey funnel lifted taking with it its new found treasures but leaving the middle school cafeteria building untouched. Though we breathed a quick sigh of relief, we were not out of the woods yet as there were a total of 9 funnel clouds that had formed and remained over this small town that day. Quickly, the school staff ushered us all into the main building and into the hallway by the lockers. Deemed the safest place, we all huddled there and waited till we could leave to join our families. Beside me was a boy that I knew well, for we shared a strong Christian faith- a fact that did not go unnoticed to me that day. Marvin, was a bright, joyful thirteen year old boy who just lit up a room whenever he entered. This was because he always carried the love of Christ with him. As we sat there, there was a brief pause and then I asked, “Marvin, I am concerned about my mother, and our families and friends..can we pray together?” “Yes..me too. Let’s pray.” And there we were- two kids praying in the hallway of a public school, oblivious that others would take notice. I still remember our prayer so clearly. As I parted from him that day to be picked up by a neighbor of mine, I knew that God had been present in our midst. Arriving at my apartment building, I saw the devastation. No longer was there a roof but open sky in its place. Part of the roof had been hurled into the apartment of another neighbor and the rest wrapped around a lamp post. Yet where was my mother? Finally my eyes spied her, standing solemnly inside the doorway of our apartment. To everyone’s amazement none had been injured. Virtually everything I owned was damaged or destroyed by the winds, rain and debris. Yet, as I stood there hand in hand alongside my mother, in a pool of dirty water surrounded by the stuff in life, I realized that everything else was meaningless. I had my mother and nothing else-not the toys, the pictures, the clothes or the furniture truly mattered. Here was a recognition that God had not only answered my prayer, but of the small list of essential things in life. With an internal prayer of gratitude I then watched as men from my community approached with tarps, tools, and provisions to cover the apartment and remove the debris. Here God was once again caring for us, this time in the shape of benevolent strangers who had stepped forward to volunteer their time and gifts for others. And while I would never see these men again, they will be forever etched in my heart. It would be some time before I could move back into my house, but I had gained a better sense of where home truly was. It was for the moment beside my mother but always in the presence of my God. It needed no accouterments, but could be found in prayer. This was the meaning of joy in simplicity, grace through destruction and peace in crisis. It remains for me a spiritual guidepost when I get preoccupied with the accumulation of comfort and the material things in life. With the aspiration of Ecumenism, to be a shared understanding in promoting dialogue and unity within faith, can it be said that there is visible unity? What can be learned from our differences? Likewise, what shape does this take and would be the direction of such a vision? Something that is becoming clear to me over the years is the necessity for a definitive place for Ecumenism in our understanding and practice of the way of being church. Perhaps this is in part due to my appreciation of the Holy Spirit in Vatican II, an exposure to different languages, cultures and faiths or my own conversion itself. More than likely it is all of these, which engages me to appreciate the beauty of our diverse faith understandings and yet recognize the unity in our uplifted praise of our almighty and every loving God. Still, in order to understand ecumenism as a church in this light, we are then compelled to have a better comprehension of our own faith before we can seek to know more of those who hold different faith perspectives. 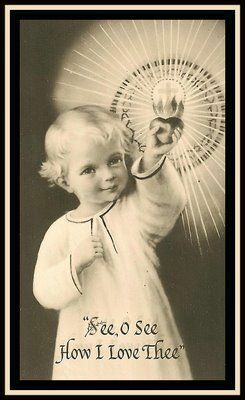 To do otherwise is to share a inadequate understanding or even a dimly lit candle of ambivalence to the reason we are Catholic. This is indeed a challenging task as we immediately notice the increasing need for faith formation in all ages and across all cultures. For, no longer can we see faith formation ending upon Confirmation, but indeed there is a need for new “ardor, methods, and expression” in the continual formation of us as followers of Christ. Yet, how do we encourage an openness to learning more about and fostering a sense of unity among our Christian brothers and sisters? As Finnish theologian Kärkkäinen observes, it isn’t that we are “creating unity between the churches, but rather to give form to the unity already created by God”. If we are both certain in our faith, and comfortable in expressing our own to others authentically and respectfully then this is I believe a good beginning. One beautiful outcome of this is seen in the commitment as a church to “fulfill its essential nature” in mission. What then of our differences? As Kärkkäinen seems to indicate, as Christians we have far more in common than that which divides us. We hold true to the ‘understanding of the Trinity, the sacredness of scripture and the creeds, the importance of the Eucharist, and teachings of the apostles’. Yet, we differ on our understandings of ‘leadership of episcopacy and papacy, and the emphasis of individual and collective priesthood’. Our expressions of worship likewise show differences in emphasis toward an indispensible priority and structure of the sacraments to freedom of “faith response and flexibility of church models”. It seems apparent to me, that in the years following Vatican II, we have learned much from each other, and could at times be said to be a visible unified community. We cannot, however, assume that visible unity means “uniformity” but rather a “certain but imperfect communion” of a church united and sharing in the “reality” of the spirit of Christ. 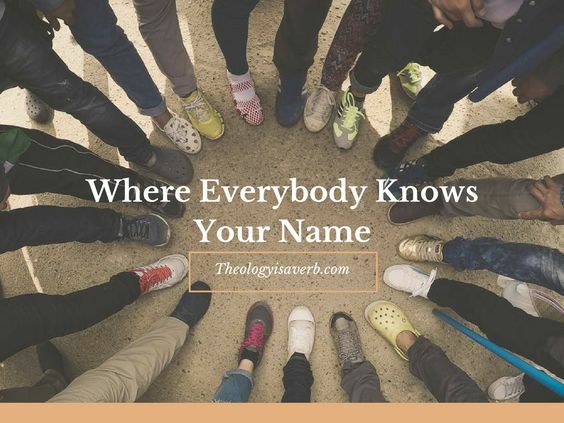 Have you ever sought a more certain witness to someone who in sharing their faith asked you about yours? If so, what is needed to better assist you? What ways do you see ecumenism in your own community sharing in the love of Christ? Kärkkäinen, Veli-Matti. An Introduction to Ecclesiology. Intervarsity Press. Downers Grove. (November 2, 2002). p. 85. In looking at Paul’s understanding of the church as the body of Christ we see a set of relationships, that of the individual believer to Christ and the believer in community. It is through baptism that both the individual believer accepts salvation through the mystery of Christ’s death and resurrection, and is joined to the community, the body, of fellow believers. 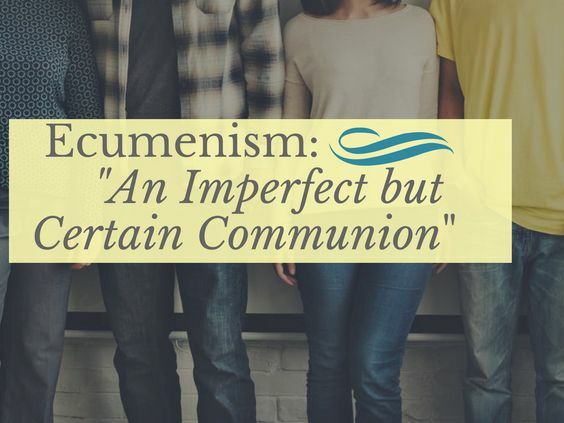 Likewise, through the Eucharist, the believer is drawn into a deeper relationship with Christ while also recognizing his or her reliance on and unity within the community. 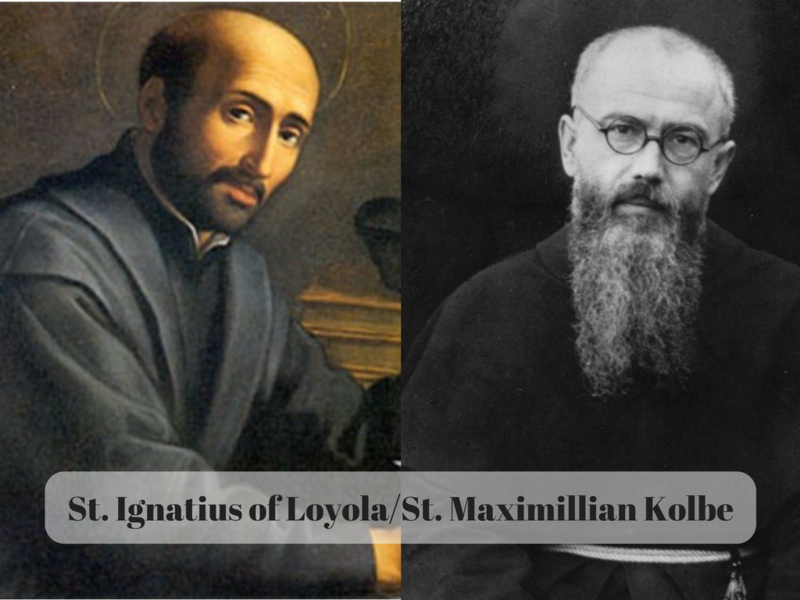 They are symbolically understood as the body of Christ in the world. Therefore the Christian Community has a responsibility to carry forth the message and mission of Christ through dependence on one another as Christ’s hands and feet. 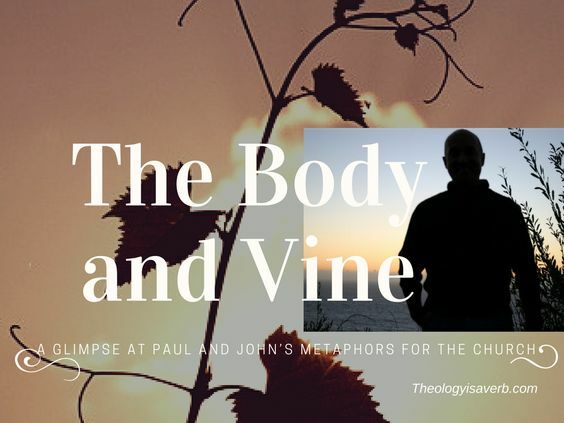 This differs from John’s metaphor of church first, in that John emphasized the priority of one’s personal connection to the vine or Christ over that of the community. Without this connection to the vine, enabled by the Spirit, the believer can do nothing fruitful on its own. Secondly, this relationship leads the believer on the path of discipleship, as one of many disciples on similar paths, who are then gathered by the Spirit in community. For John, this is church, seen in a community whereby all are called upon individually but equally to love and service to one another. For Paul, the church collectively is called upon to use her gifts given by the Spirit, rather than a gathering of individual disciples. However, I feel that both understandings of our relationships as disciples are so important! We must both be connected to Christ as is suggested by John as well as to be connected to each other in community as the body of Christ. We cannot grow fruitfully as a vine if we lose our connection to life in Christ. Likewise, we need the support of the community and understanding of mission to be the hands and feet of the body. There are also common challenges presented by both Paul and John, seen in the need for love, forgiveness, and renewal. 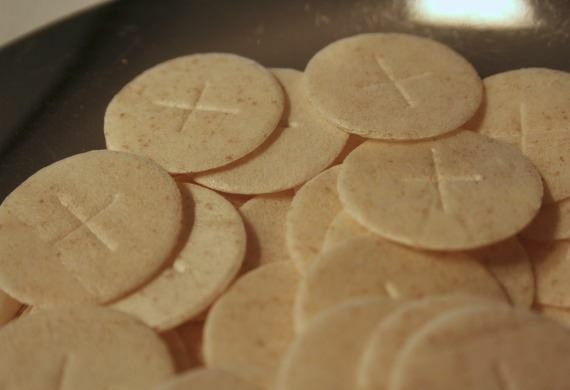 For Paul, this is exemplified in the reception of the Eucharist. We bring all that we are when we come to mass, our gifts and our faults, and receive love, forgiveness and reconciliation to God as well as to each other. Then ‘blessed and broken’ we are then to be Christ to others. For John, we understand that partaking in the Eucharist though word and sacrament to be spiritually renewing oneself to the Vine the source of salvation. Yet also in recommitting one’s call of discipleship to greater love, forgiveness and service. Finally both saw a need for believers to continue the mission of Christ and work towards the values and reality of a coming kingdom of God. These remain essential today, for while we witness inbreakings of the kingdom we are called as a church to recommit our lives to its completion. My grandma was a teacher- as was my grandpa, my mom and all but one of their children. Long after her classroom days, she continued to teach in Sunday school and most profoundly by the sheer witness of her life. I spent many a summer day there, learning even when I failed to recognize that indeed there was a lesson she was passing on. So, with a bit of humor, I share a few of the finer points of her credo that have remained with me over the years. Literally. Having grown up on the farm, she was accustomed to getting up early and starting the chores before the sun raised its weary head. Quickly donning a work shirt, and galoshes we each would grab hold of the small green baskets to gather the blackberries that grew all along the outskirts of her property. What a treasure these berries were! So much so that, if left unattended, there would be little of the spoil for the taking after the birds had their bellies filled. After our collecting, and sitting down to breakfast, Grandma would spend some early quiet time in reading scripture, pausing to pray and taking notes. There was a lesson in the importance in all her motions, an ordering of her day and awareness of the One who created it all. The small plot of land behind her home beheld a large garden, overflowing with vegetables and fruits of every kind. Tomatoes, lettuce, peppers, beans, okra, strawberries, rhubarb..all had a purpose long after the growing season. What she could not eat or bake into pies was canned and set aside for the long winter months. Often given the duty of procuring a jar of preserves or apple butter, my eyes would light up at getting to choose which sweet goodness to spread on my toast in the morning. This philosophy extended to meals as well, and each was packaged, labeled and placed in the freezer for a later date. All was a gift from God, and as such was to be valued rather than easily discarded. I too have carried this forth in my family and even find a special delight in creatively repurposing food to equally enjoy it the second time around. 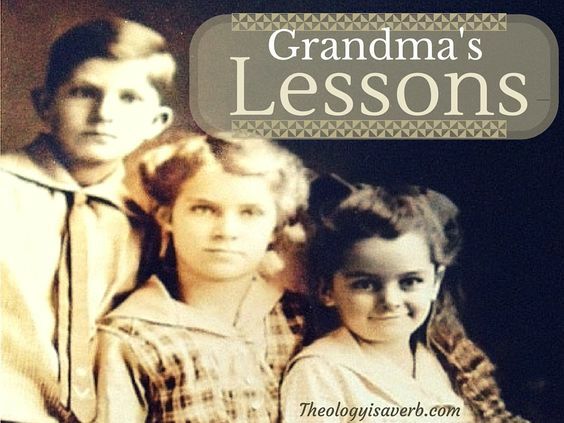 While my grandma wasn’t superstitious or fearful of God, she did share with me an amusing childhood story that kept her from letting her completion of work dominate her Sabbath. Her mom, my G. Grandma Connelly, was a busy bee- always moving from task to task. And when not working, she was socializing with everyone. One morning before Sunday service, she suddenly remembered that she had been chatting the day before instead of collecting the eggs from the hens. Swiftly she moved, gathering the eggs and placing them neatly in a wicker basket on the back porch steps making it just in time for church. Sitting in the pew, she smiled to herself that it all got done. Yet coming home, to her surprise, she was met not with a basket full of eggs, but a curled up snake resting after its catered meal. To this day, when I find myself in mass running down the laundry list of things done or things to do I am reminded of this antidote. What good is the work done if I neglect to prayerfully give focus to the readings or God’s presence? If I am in such a hurry to get to those chores, that I leave communion and community without awe and appreciation for the gifts received? Carried forth into everything I do that day, it is to be my guide. In truth, every day is to be holy, properly balanced and ordered. Still, we all need time to rest and replenish both physically and spiritually from the week. Taking this time is recommended care for our bodies and souls. 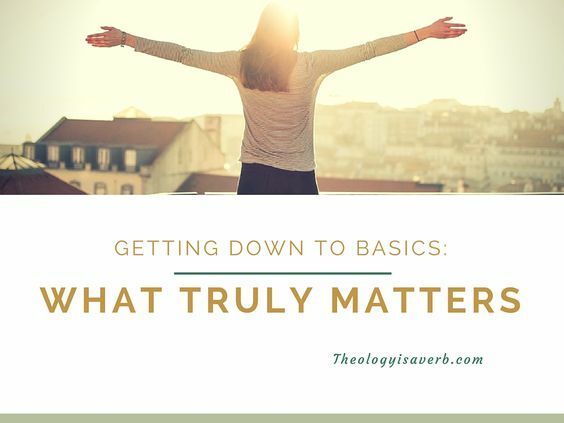 How have I made time for God in my day? In my week? Is there any waste in my life? Do I recognize the need for both work and rest? 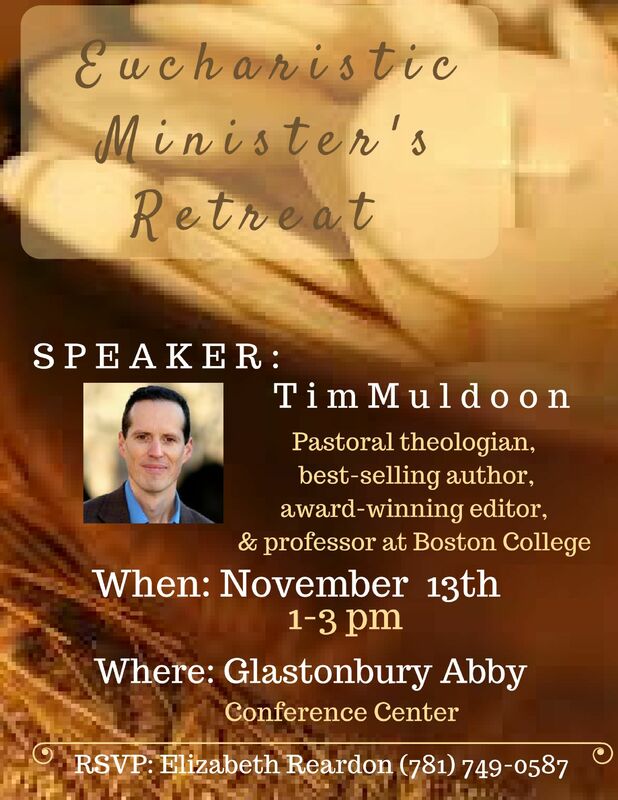 For communion and community? 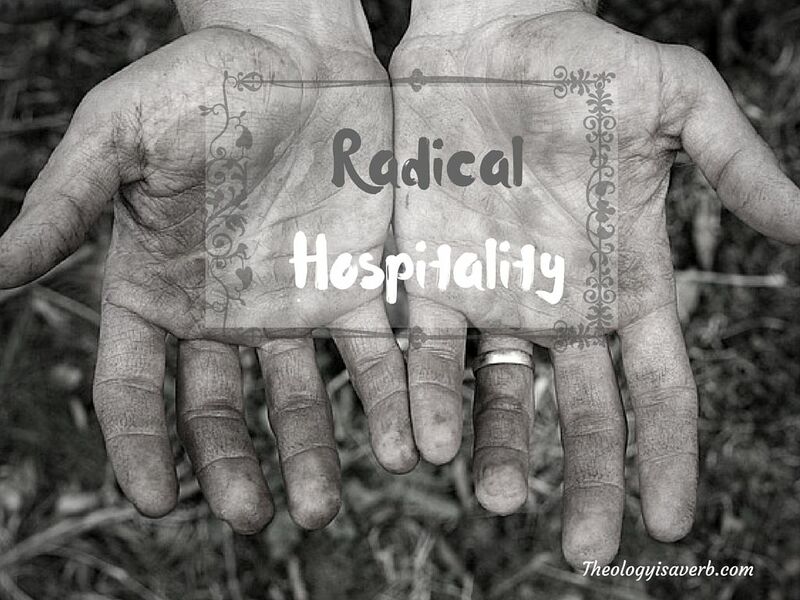 There has been much talk in recent years within ministry about the notion of radical hospitality. Not merely seeking to embrace those we know, it is an openness albeit a willingness to authentically meet and walk with one another in our weakness, suffering, and challenges of life. This is the experience of encounter, and as such cannot be superficial or thought of as just an act of charity. Each of us must be vulnerable, and ready to extend ourselves beyond our pew, well past our comfort zone, beyond even the doors of the church to welcome the stranger with love. Yet, what does this look like in REAL life? Some 23 years ago, my then fiancé and I were traveling the 1,400 miles to visit my family in Arkansas when the blizzard of 93’ hit. Praying that the weather would let up the further south we went, we pushed onward. However, that was not to be as the interstate in front of us was closing and we found ourselves in uncharted territory on a long stretch of road near Winchester, KY. With only 2 choices available, a 6 ft. tall snow bank to our right or a jackknifed semi to our left…we chose the snow bank. Sitting there in a car now engulfed in snow, I admit, I felt utterly despondent. For, as far as the eye could see was snow and farmland and we knew no one. We couldn’t stay there forever, as our tank of gas and thereby the heat would only last for so long. So, there my later hubby and I prayed together. And, no sooner had we done so did we see a shadowy figure approaching from a distance. With a steaming cup of coffee in hand he gingerly made his way to check on both the driver in the semi as well as us. “How are you?, he asked” “We are ok, but a long way from home”, we answered. “Where are ya’ll headed?” “Arkansas, to visit my family but traveling from Massachusetts”, I replied. “Well, why don’t ya’ll come on in the house, warm up, let them know you are ok, and join us for dinner.” As we walked across the field and the house came into view I breathed a sigh of relief, finally ceasing to calculate fuel reserves. With two young children in tow this beautiful family welcomed these two strangers into their home and lives that day. Inwardly, I wondered if they had even considered whether or not we were harmless or the gift that they were offering. Their gift of generosity came so natural and was so heartfelt that we very readily felt as if we had known them for years. A very good thing too, since it would be a couple of days before the roads cleared and our car could be unearthed. Even this was another example of the breath of their commitment to radical hospitality. Knowing that we had very little extra income to spare, Mike, our gracious host, called his friend who volunteered to use his tractor with chains to help rescue the stranded Camero. Then placing heaters under the engine they were at last able to bring it back to life. The morning we left, well rested and well fed, John and I knew that God had placed these incredible people in our lives to teach us the true meaning of hospitality and Christian love. Not only exchanging Christmas cards, with the advent of social media we have made it a point to stay connected. Their children now grown, are married and beginning young families of their own. What a legacy of Christian discipleship Mike and Connie have modeled for their children, for my husband and I , and all those they encounter. This is the challenge for each of us in our everyday-to go forth living out our faith with radical hospitality. To accept the invitation to meet the lost, abandoned, marginalized and wounded with generous love. Since some wounds we cannot see, and anyone of us can be in need of radical hospitality at any time, we must begin to see with the eyes of the heart. This takes practice and reminders of the moments when God has taken the initiative to rescue us, unleashing his otherwise unimaginable love and mercy. When and how have I been a recipient of radical hospitality? In what ways might God be asking me to witness his radical hospitality today? I have always loved to sing. Whether acapella or accompanied , in the shower, car or kitchen..music carries me through even the smallest of duties. Though my voice is nothing extraordinary, it has purpose and passion in every note and tune carried. It takes heart that when it is lifted in praise to its Creator that truly our prayerful petitions are amply doubled. In fact, it was in children’s choir at my church that I first discovered the diversity of gifts and the power of song to stir the soul and strengthen a community. Through tornado ravaged springs, to drought impacted fields, layoffs and closings, my small church community came together praying and singing of the hope in what was to come. Yet, so often it seems to me that this sentiment is not shared universally by the average parishioner in the pew. For a variety of reasons given, we come to Mass but hold back in singing. Oh, how we miss the meaning when we do this! It isn’t about the quality or ability of the singer, nor is it about our personal preference of song. Rather, it is our participation and desire to pray, albeit in a different way, to our heavenly Father. It is adding our voice to the community in thanks, and petition for all that we have been given and are in need of. And in Advent, it is honoring the sacredness of God’s very gift of himself to enter into mankind out of his ultimate love for each one of us. 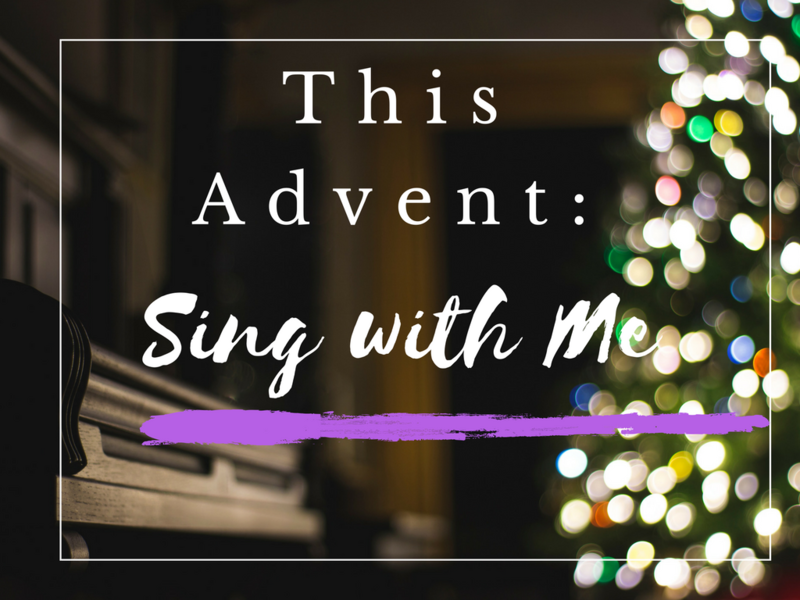 This Advent, when you gather with your own family, whether in your home parish or another, please take a moment to consider this prayerful invitation of song. As far as parish life goes, it has been a very busy weekend for my parish collaborative family. Yet, when I think of it this is not that unusual for these two parishes as there always seems to be something going on. Whether it be school events, bible study, bereavement groups, healing Masses, Adoration, speakers, musical artists, youth events (you get the image) our parishes are always hopping with energy and abounding in community. So, for those weeks where I long for more energy and wish I had the saint’s gift of bi-location..it is only so that I could be present at everything! 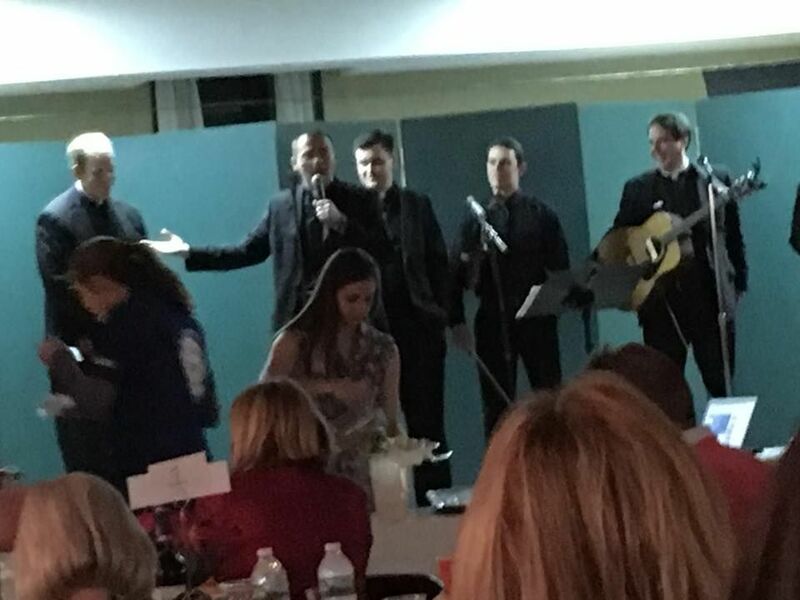 Friday night, we had a youth fundraiser featuring the musical stylings of our parochial vicar and his former fellow seminarians (The Celtic Clerics) who donated their talents for the evening. 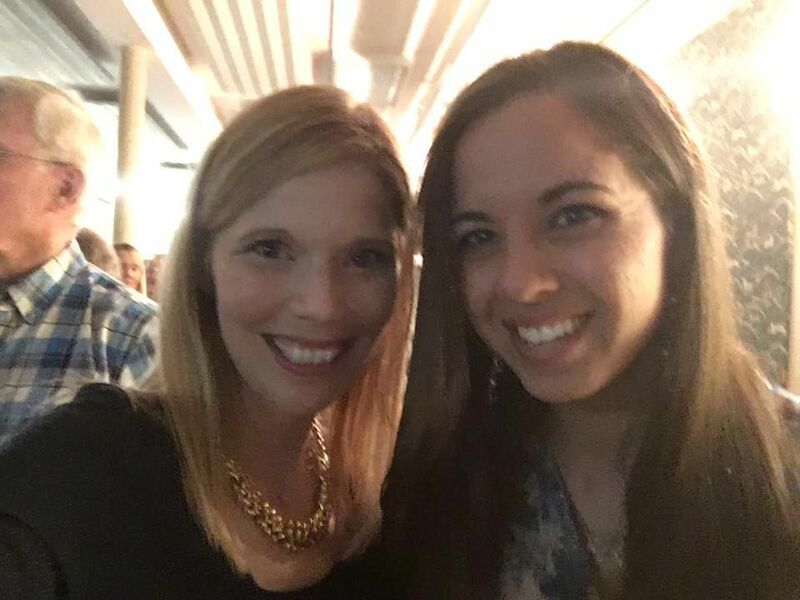 With dinner, live auction, and dancing- a fun time at Resurrection Pariah was had by all! The Life Teen youth now have a needed boost to fund their upcoming mission trip to Haiti. Saturday and Sunday began the kickoff for our annual community food pantry drive. 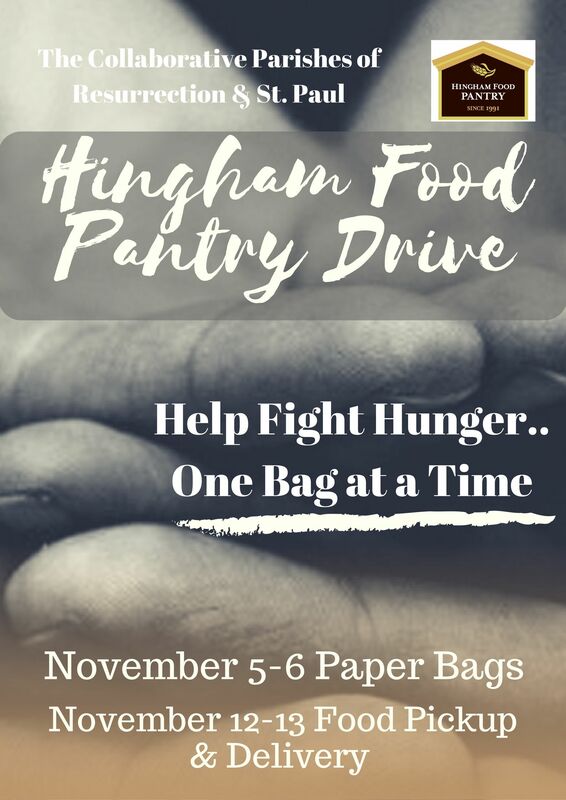 Paper bags were personally handed out with a list of essential items attached.Next week all items donated will be collected and loaded onto a delivery truck to the waiting arms of more volunteers who will unload and stock the shelves. It is an amazing undertaking and the work done in these 2 weeks helps feed so many who otherwise might be unable to adequately provide food for themselves or their family. Also this Sunday, we held a Remembrance Mass and reception for all of our parish families who have lost a loved one this past year. From the music and roll call of names, to the roses given out then arranged by the families gathering in fellowship, it was truly a coming together of our faith community. Finally, my pastor and I sat down for the second meeting of Eucharistic minister training for those who have said yes to the invitation to bring Christ to others. The following week they will join the larger community of Eucharistic ministers as part of a spiritual retreat. Always growing,and always deepening our faith lives. Every parish is different and each has it’s strengths. Yet, if your believe your parish is stagnant.. Odds are others feel the same way. Yet, what can you do? You are just a parishioner sitting in the pew. Or maybe you have mentioned your concern and things have yet to change. 1. First let me say that our parish priests are overworked, often understaffed, and are lucky to sit down and enjoy 15 minutes to eat in peace. They need not only helpful ideas but people willing to implement those ideas and motivate others to volunteer their time as well. If your pastor has given an event the go-ahead, and you are such a motivator take time to make a plan and consider parishioners that might be interested in being a part of it. 2. 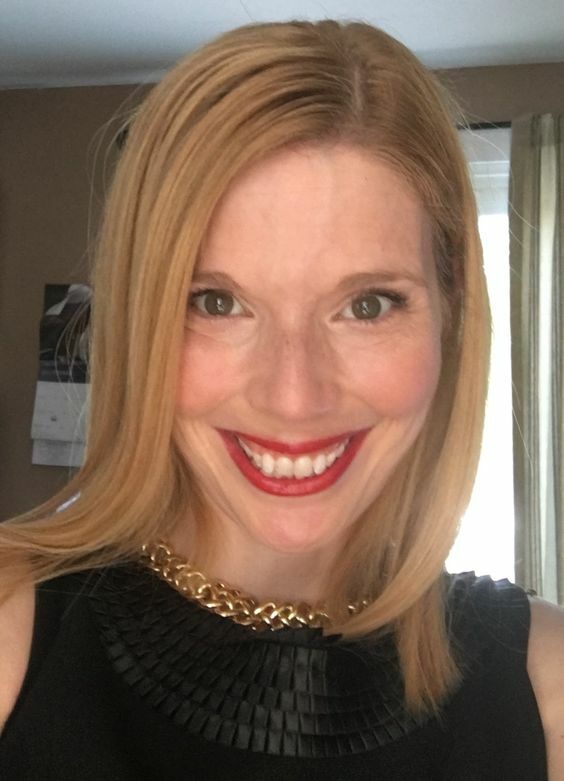 Invite: So, if there are others like you sitting in the pew or just a few people doing everything in the parish, maybe then the problem is a lack of invitation. Many people assume, albeit incorrectly, that they are not needed. Time and talents is a REAL thing folks. God has given each of us many ways to serve and at different times calls forth each of those gifts. 3. Do not underestimate the personal invitation. If you have invited and still there is a lack luster response..reconsider how you are inviting. Group emails via your parish’s Constant Contact work for some, but nothing beats a well timed conversation. Even if you receive a no this time, thank them for their consideration. People want to know that you value their commitments too. Not to mention, next time it will be even easier to ask. 4. If the cost of an event is a consideration, perhaps there are those who cannot volunteer time but can volunteer food, expenses or supplies. What would we do without those parishioners that give so generously to sponsor or provide the means for hospitality to occur? It isn’t that there is a shortage of ways to spend money these days, or organizations vying for these funds. What is it that your event, devotion, or activity adds to parish life or community? The answer to this question and an awareness of the mission of your parish will help guide you to who to ask. 5. Remember, you are offering a gift too. It is not uncommon to feel so grateful for the service that your volunteers would provide to forget that in serving they too are given a gift. As anyone that has served in ministry can attest to- the gift of serving is that God will never be outdone in terms of gift giving. 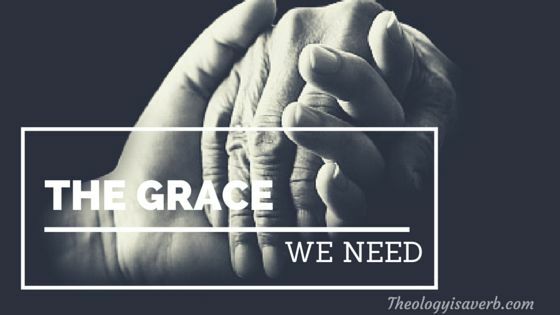 Though not always quantifiable, the grace experienced far outweighs the time and energy spent. It may also leave you with a longing to serve even more! 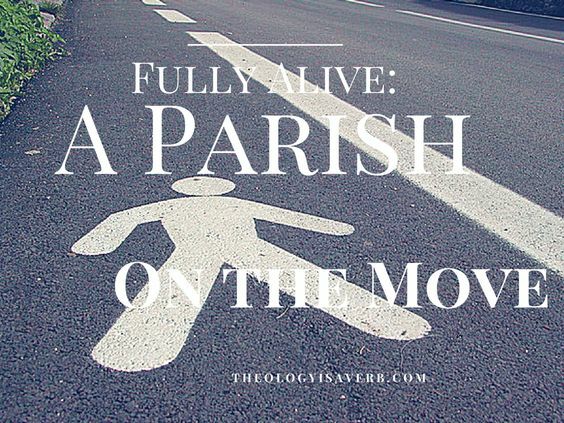 So don’t be content with the excuse that your parish is dead..but be a catalyst towards a parish community that is on the move and fully alive! If she could stand, she would undoubtedly comprise all of 5 feet. Slowly, age and physical limitations have taken her ability to walk, then stand and the wheelchair that she once could move can no longer be done on her own. Yet on the inside “Grace” towers, a living witness to a profound spirituality, her inspiring reverence and appreciation for the Eucharist is faithfully compelling. In her suffering, she has shared not only of her struggle but of the gift and essentialness of communion and community. It was about 6 years ago in the beginning of our Eucharistic Ministry to the nursing homes, that my husband and I first met Grace. My husband, having left Harvard when our economy took a major downturn was initially unsure of this assignment but more than ready to feel of use again. While he was certain that he could impart a bit of company and joy to those he visited in fulfilling this ministry, he was not prepared for what he would receive in return. His week spent researching the classifieds and applying for new jobs, would prove relentless with the exception of Sunday. Always faithful, but at times lukewarm in intensity, Sunday was the day he reserved for God. Little did he know that God had so much more in store for him, by this simple step forward in faith. While wanting to go with him in these first few visits, I prayerfully held back, feeling God was preparing John for something special. So, with pyx in hand and a head full of concerns I watched as John hurriedly left the house, unquestionably working on the following day’s to-do list. However, no matter how he left the house, one could not help but notice that he never returned the same. In its place, peace and joy had consumed his countenance and he practically overflowed with a renewed strength. For, during this otherwise incredibly stressful time, God had opened a window. After a bit of time, of observing all of this, the day came when with hopeful expectation he suddenly asked, “Would you like to go with me today? There is someone I would like you to meet.” This was the moment I had patiently waited for. “Of course, lead the way!”. Though he carried a handwritten list of names and rooms, with notes beside each, it would be completely unnecessary. He knew each one, and wasted no time in introducing me as we entered with a rap at the door. As we neared the last room he paused, grabbed my hand and a huge smile overtook his face. This was the one he so eagerly had wanted to share, the one that had inspired the transformation that I witnessed. “It is really SO good to see you, thank you for coming and making time for me..I cannot tell you what this means”, she exclaimed. “Oh, Yes! I REALLY need that!” , with hands clasped and eyes closing immediately in prayer. “We all do Grace, we all do..” he answered without hesitation. 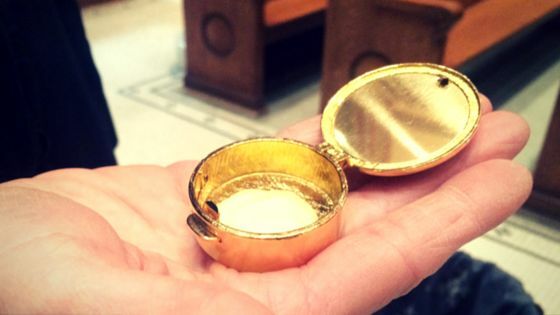 Have you ever considered Eucharistic ministry? Be prepared, the life transformed by Christ today, might be your own! 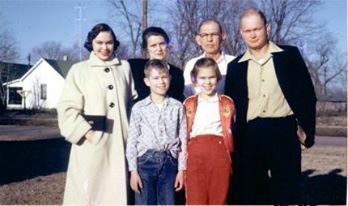 Some years ago I met one of the few living witnesses, other than family, to the life and memory of my Grandpa Ferrell. Standing at an impressive 6’6” he easily towered over everything and yet the warmth of his smile and joyous presence elevated all surrounding. Donning a nicely pressed dress shirt under a pair of overalls, his attire was to be truly befitting of his personality. Brought up in a seemingly bygone age where there was both respect and appreciation for women, I had become his honored guest. And still, rather than displaced gestures of formality I was most graciously welcomed into his small room within the nursing care facility in which he lived. I had not expected to be there that day, truly a tag along on vacation, I had no idea what God had lay in store. Since my Aunt’s passing, my Uncle Bob had found comfort in the ministry of visitation to the sick, home bound and elderly. Having reached his own rock bottom of loneliness and grief without the love of his life he had sought better meaning and purpose for this idle time. These visits had become the bright spots in his week and one could not help but notice the great care he would take to be presentable and on time. Having served in this ministry with my husband, I too knew the immeasurable joy that comes from the very small gift of time spent. So, when he announced that he was departing our Sunday family meal to go out on ministry, I could not remain either. The Holy Spirit was tugging on me, telling me that there was somewhere else I was meant to be. “Wait up, can I join you?”, I called out. “Yes… you want to come? Well, we need to hurry; I hate to keep them waiting”. Part of me felt like a kid again riding someplace fun with my Uncle Bob, a man who always made me laugh and had cared for me like a father. However, this was uniquely different. For, I wasn’t a child but an adult and I was choosing to spend this time together in service for others not for myself. Something inside too was reminding me of the sacredness of this moment, and the fact that I might ever be given this shared opportunity again. How true this was. Within minutes of arriving, nurses and guests alike had made their way to saying hello to us, who all were very familiar with his visits. Clearly there was an extra spring in both our steps as we walked those halls, and stepped inside the home of each resident. Here, in the exchange of banter, stories and prayers, we were no longer considered as visitors but brothers and sisters in Christ. When one remarked how good it was to see someone of my age want to come, I felt sadness for this missed blessing that others have not known. So it is that we made our way to “Buster” Kennedy’s room. 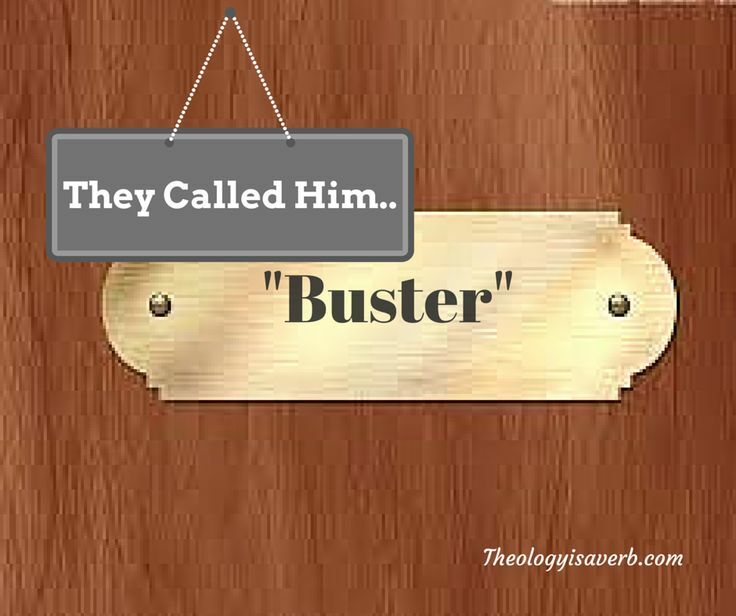 To this day I am still not sure why he was called Buster. Perhaps I have thought it was in reference to Buster Keaton, a vaudeville film actor and comedian from the early 20’s known for not shying away from dangerous stunts or the quick punch line. Whatever the reason, that was the only name on the door, and I was intrigued immediately. As we stood there for a few seconds, with my Uncle Bob making introductions, I realized just how little I was in Buster’s shadow. And still, that soon all disappeared as he leaned in looking me in the eyes, adding what a pleasure it was to meet Carl Ferrell’s granddaughter. He knew me, I thought. 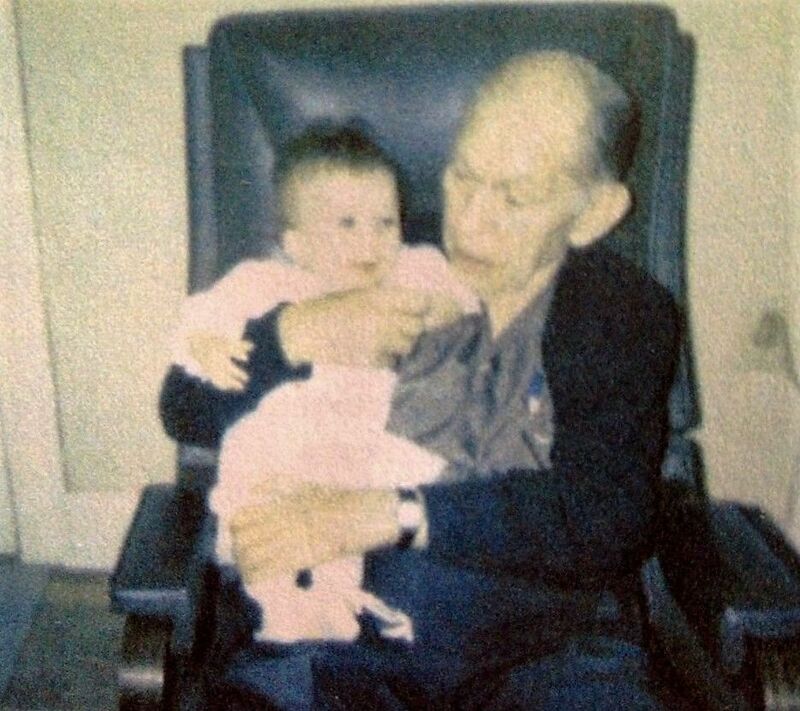 Yes, I know I had never met him before, but in knowing my grandpa, in some sense he knew me. My grandpa, whose love of learning and knack for poetry and languages I inherited, had passed away when I was quite small. Oh, how I yearned to know more of my grandpa, who others saw him to be. Buster Kennedy, a combat engineer in the Army during World War II, had served in the Philippines as a young man. 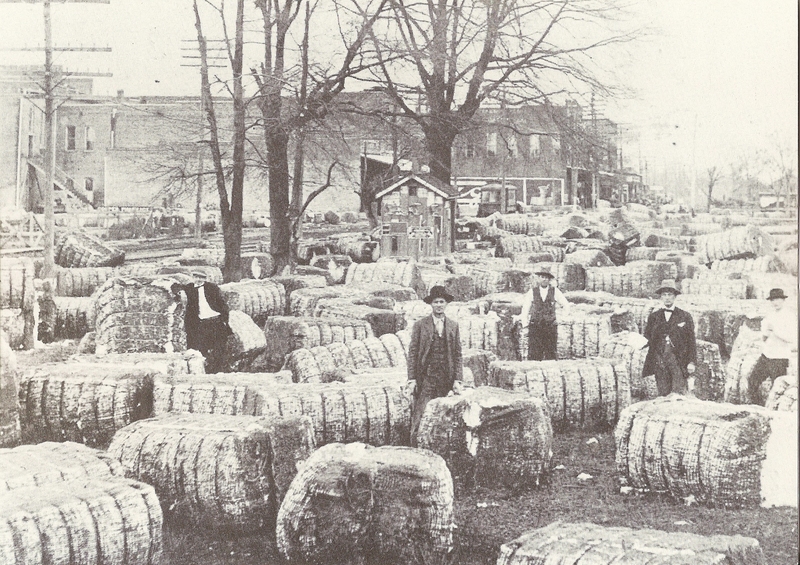 When he returned to the states, Buster found work as a driver for the cotton gin my grandpa managed in his summers apart from teaching. As he described my grandpa, Buster spoke of the kindness and compassion shown by my grandpa, and the honor and respect he had earned by all those who worked for him. “He was so smart, but always took the time to explain things, the reasons why.” As we talked, my heart soared and inwardly I hoped that I could be that friend to others that my grandpa was. That’s when Buster stopped, and said what I had longed to hear, “Do you know how proud of you he must be?” Filled with emotion, and holding back the tears, I managed a feeble “Thank you so much, I have always prayed he would be”. Thank you Father, for those you place in our path that remind us who we are and whose we are. May we always seek to honor you with lives of love and compassion. Thank you God, for “Buster”.